Mr Jesuraj qualified in Medical training (MBBS) from Tirunelveli Medical College affiliated to Madurai University, South India in 1991. After graduation he underwent surgical Training in General surgery and paediatric Surgery in Belgium and Ireland. He started his training in Urology in 1997 and had opportunity to work in different units. He gained expertise in different Urological sub-specialities and had the privilege of getting trained by exemplary roll-model senior consultant Colleagues. 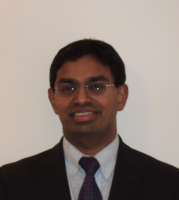 Mr Jesuraj currently serves as a Consultant Urologist in University Hospital of North Tees from October 2010. He is currently the Urology Clinical Lead at North Tees and Hartlepool NHS Trust. He is committed to ethical and evidence based practice in Urology. He is an advocate and promoter of establishing full partnership with the patients in all aspects of clinical decision making. Mr Jesuraj provides a wide range of general Urological service to NHS and private patients through excellent private providers of healthcare in the Tees valley region. He has special interests in Bladder dysfunction, Incontinence, Benign prostatic diseases, Laser prostate surgery. He provides the advanced Micro Surgery Vasectomy reversal service by Multi Layer Vaso-Vasostomy or Vaso-Epididymostomy as required. For details, please visit www.vasectomyreversals.co.uk. He also provides paediatric Urology service for peno-scrotal, groin and continence problems in children. He is an active member of National, European and American Urological Associations and is committed to Continuing Medical Education and Continuous professional Development. Mr Jesuraj is a qualified Clinical Educator and he regularly teaches medical students and Junior doctors. He regularly conducts Educational events for Primary care colleagues in the community because he firmly believes that a high standards of care can be achieved only with the help of continuing care and support for his patients from his colleagues in the Primary care.